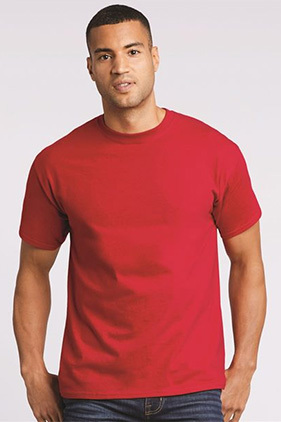 Pre-shrunk 100% cotton 6 ounce t-shirt. Shoulder-to-shoulder taping. Seamless collar. Double-needle stitched neckline, sleeve and bottom hem. Classic fit with longer body. (Sport Grey 90/10, Safety Green 50/50. Safety Green compliant with ANSI/ISEA 107 High Visibility Standards.) Same great features as style 2000 available here in tall sizes.